INTERNATIONAL concert pianist and 2009 Leeds Winner Sofya Gulyak returns to Manila for a one-night only concert on May 8, 2012, 7:30 PM, at the Cultural Center of the Philippines Tanghalang Aurelio Tolentino. The only woman to win the prestigious Leeds International Piano Competition, Gulyak was awarded the 1st prize and the Princess Mary Gold Medal at the Sixteenth Leeds International Piano Competition in September 2009. The Leeds, as the competition is informally and affectionately called, is acknowledged to be among the world’s top ten piano competitions including the Tchaikovsky, Chopin, Rubinstein and America’s Van Cliburn. 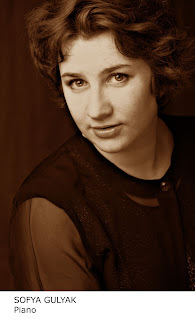 Gulyak has won many prestigious piano competitions such as the William Kapell International Piano Competition in USA (1st prize); Maj Lind Helsinki International Piano Competition; Tivoli Piano Competition in Copenhagen; Gyeongnam International Piano Competition in South Korea; San Marino Piano Competition; Busoni Piano Competition in Italy (2nd prize); and Marguerite Long Piano Competition in Paris (3rd prize). 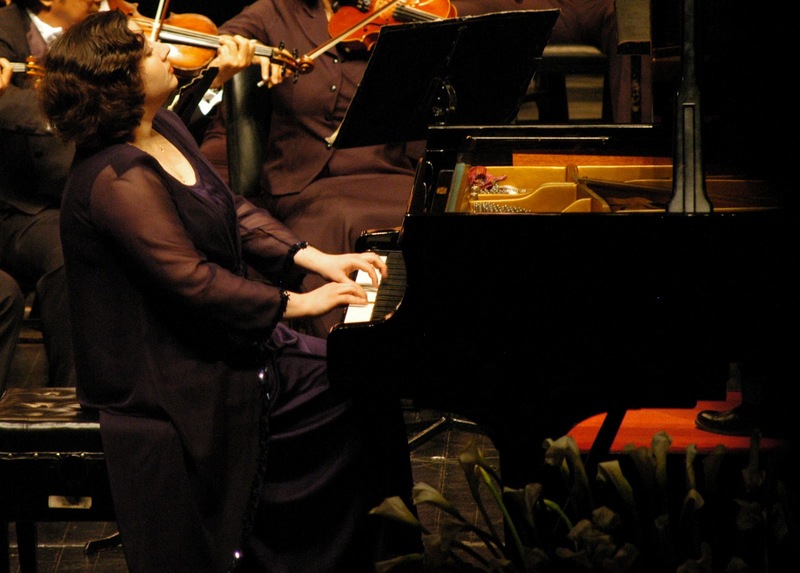 She also served as a jury member at the international piano competitions in Italy, Serbia and Greece. Gulyak is a native of Kazan (Russia) where she studied in a Special Music College, and then in Kazan State Conservatoire under professor Elfiya Burnasheva. She graduated from “Ecole Normale de Musique de Paris Alfred Cortot” with the highest distinction. She later studied at the Piano Academy “Incontri col Maestri” in Imola, Italy, with Boris Petrushansky and in Royal College of Music with Vanessa Latarche. Gulyak last performed in Manila in October 2010 at the Philamlife Theater. For her forthcoming engagement at the CCP, she will perform Rachmaninov’s 3 Pieces for Op. 3—No. 1 Elegie, No. 2 Prelude and No. 3 Polichinelle. Etude Tableaux, Op. 39 No. 5 and Variations on a Theme of Corelli, Op. 42; Scriabin’s 2 Poems, Op. 32; Shostakovich’s Prelude and Fugue in D flat, Op. 88, No. 15 and Prokofiev’s Sonata No. 6. Ticket prices are set at P800.00 and P600.00. For inquiries, call CCP Box Office at 832-3704 or Ticketworld at 891-9999.